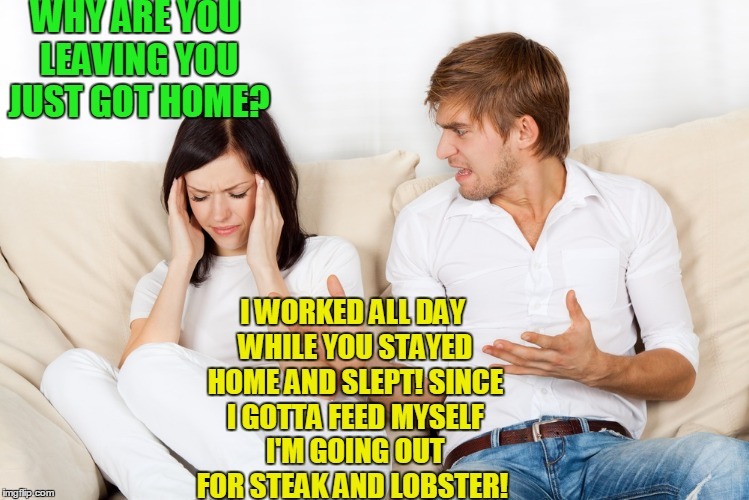 WHY ARE YOU LEAVING YOU JUST GOT HOME? I WORKED ALL DAY WHILE YOU STAYED HOME AND SLEPT! SINCE I GOTTA FEED MYSELF I'M GOING OUT FOR STEAK AND LOBSTER!